With every new smart phone having a feature called wireless charging, readers(me included) wonder what the wireless charging is and how it works. The web is filled with technical terms for wireless charging but I found no page explaining it in a simple layman language. I just wanted to know what wireless charging is and how is it supposed to work on Nokia Lumia 920. Wikipedia gives the definition of wireless charging as Inductive Charging based on inductive coupling. This means that the two leads, the battery and the source are coupled through a electromagnetic field to generate electricity, which charges the battery. They are based on the theory of electrical flux. The base station and the battery complete a cycle of the flux through coupling and in the process generating electrical current which is then stored by the battery. 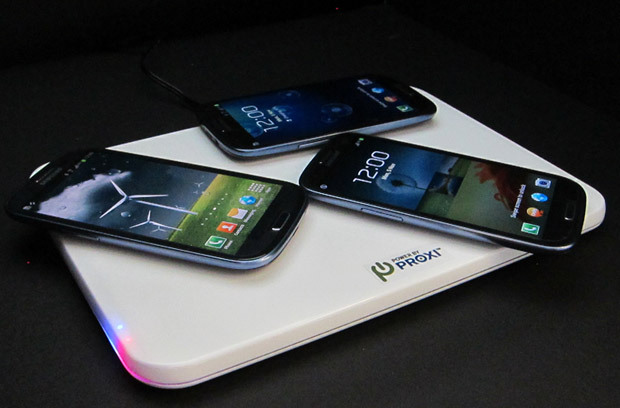 The Nokia, Samsung, Sony, LG and other companies use the technology of wireless charging called Qi (pronounced as chee). The maximum distance in this type of charging is 40 mm but further the distance the less efficient the charging is. Which means that your mobile has to be very near(sticking) to the base station. While the advantage of wireless charging technology are many like there is no risk of electrical shock due to short circuit. There is also no risk of exposing the phone leads to water in the surrounding like humidity and condensation as the connections are closed. And no cables. However that said, the disadvantages are also many. In the long run you have to place your phone on the base charger or near it like your regular charging. Further you can at least send a message during regular charging, but on wireless mode it is difficult to even send a message or move the phone. The process of wireless charging is very slow, it may take hours for a full recharge. There is huge wastage of heat, which environmentalist and nature lovers may not like. The base station is very expensive where as our normal charges are available at pretty cheap prices. The biggest disadvantage today is the lack of uniformity in the process like some standardisation seen in the USB, Bluetooth, NFC technology seen. Having said that, a whole host of manufacturers, labs and researchers are behind this project. So maybe in five years from now this may be a standard product. But as of today it is a failure due to its very improbable needs. Hope this answers your question. However look at the video of the wireless charging with Nokia Lumia 920 to understand what the manufacturer is saying about the technology. Please post your comments regarding this article.